This is the sixth national conference members of this Committee have organised. This time it was held in a hotel in Harrogate, North Yorkshire. We continue to view these conferences as an ideal forum when addressing the four objectives within the Licensing Act 2003. Specifically, these conferences offer the opportunity for all participants to share ideas and good practice, identify issues of national importance and demonstrate the effectiveness of working in active partnerships. Representatives from Pubwatches, licensing trade associations and companies, Local Authority Trading Standards and Community Safety Officers, Police Forces, Association of Town and City Centre Managers, and relevant Government Departments attended. Lee Le Clercq, responsible for the north-eastern region of the British Beer and Pub Association and Tony Payne, Federation of Licensed Victuallers Associations actively encouraged licensees to attend this conference. Despite the adverse weather conditions, the majority of the participants were able to attend. Delegates numbering 152, together with 57 guests, speakers, actors, exhibitors, media and Committee members attended. Delegates received a comprehensive delegate pack. A breakdown of delegates revealed that Pubwatch representation numbered 28, police 75, local authority 29 and others 20. There were also 59 ‘no shows’. Of the intended presence of 14 exhibitors, only 10 were able to attend. Unfortunately, none of our supporters within both Houses of Parliament were again able to be present. Two of our original speakers, Alan Campbell MP and Commander Simon O’Brien, were subsequently unable to attend due to more pressing engagements. We are pleased that they were able to find colleagues to replace them. We again utilized the skills of the MOPA Theatre Company to perform three sessions based on popular television programmes. Two short plays acted as triggers for discussion in the subsequent Workshops and Panel Discussion. The third session, comprising four quick sequences, was performed during this Panel Discussion. The display stands present ranged from national organisations, trade and local initiatives. Each generated much interest. The committee wish to thank all the sponsors for supporting this conference. They include the Home Office and the British Beer and Pub Association. Thank you, once again, to the Publican for agreeing to allow Daniel Pearce, their Managing Editor, to facilitate the Panel discussion, to the speakers and Workshop facilitators and all the other contributors for giving up their valuable time. This year we engaged the British Institute of Innkeeping with the administration of this conference, a task they completed with enthusiasm and professionalism. Additionally, the committee wish to thank staff of the Barcelo Majestic Hotel, Harrogate, for their enthusiasm and expertise in assisting with organising and smooth running of this conference. Finally, thank you to all the delegates, without whom this conference could not have taken place. Written evaluations, together with verbal feedback from delegates, were extremely encouraging and useful. Such comments are always taken into account when planning future conferences. Many delegates also identified tasks that they intend to address and even implement locally. As chair of National Pubwatch, he welcomed all present and thanked our sponsors and supporters. He outlined the content of this conference and drew the delegates’ attention to the increase in challenges being made by those banned from Pubwatch premises. He concluded by stating that the Government have decided to commence Drinking Banning Orders, on application from frontline enforcement agencies. The Home Office have agreed to work with National Pubwatch as well as the police to develop this guidance. As Security and Licensing Manager with Mitchells and Butlers Pub Company, he gave an outline of his company and his national role. His company is the largest licensed managed retailer with over 2,000 premises. He is a member of their risk department, manages the licensing team, works closely with enforcement officers, gives senior management training and checks the company procedures. The company approach includes a company reporting system, a standard policy and monthly review meetings with their solicitors. They train around three thousand people each year, have a policy for managers to join Pubwatch and support Best Bar None and National Pubwatch. Some of the company activities include having an alcohol and social responsibility policy, completing spot checks on the business, ensuring action is taken on receipt of enforcement letters and writing critical reports on failures. Some police forces actually contact him with ‘passes’ as well. This is viewed as very helpful, as the premises concerned would not otherwise be aware of this outcome. However, due to the level and seriousness of some of the assaults on licensees and staff, he also believes that there should be a specific offence for assaulting a Personal Licence holder. They find difficulty with the unending amount of new rules, managers asked to sign local contracts, correspondence that only goes to the DPS, excessive enforcement, inconsistency of approach and reviews when they are not necessary. He raised several questions relating to how Safe, Sensible, Social could become more effective and gave some examples of good practice, including Purple Flags (similar to the Blue Flag for beaches), Best Bar None and PASS schemes. Alcohol Arrest Referral Schemes uses the police as a gateway and a current small pilot is being extended to ten Borough Command Units. Thus, working in partnership can be very positive. Alcohol is here to stay, we need to manage it. ‘The Apprentice’ – where the losing team were subjected to an inquisition by Sir Alan Saccharine after running a public house in a very incompetent manner! They lacked knowledge of the law, control of customers and responsibility in their respective roles. ‘Would I Lie To You?’ – where contestants challenged each other as to whether they were truthful about their age, whether they were drunk or ill and their occupations. A Pubwatch scheme is set up by a group of local licensees, who adopt an agreed approach to reduce crime and disorder in their local area. This may include excluding those whose presence on their premises poses a risk to a safe drinking environment. It should be run by licensees for licensees. Being a member will help licensees achieve the four licensing objectives. Membership is open to all establishments having a Premises Licence, including off-licensed premises. When localities wish to set up a Pubwatch they should take into account whether it is licensee initiated, police motivated, in response to a serious incident occurrence or other factor. There are well proven links between the consumption of alcohol and violence and disorder. Pubwatch is about a local response to both local and national problems. It requires local commitment and is a cost effective way to address the identified problems and reduce Crime and Disorder in general. Membership also offers the potential for increased profit and reduced costs associated with crime prevention together with a safer environment, thereby retaining customers and staff. Additionally, Pubwatches give licensees united strength against common problems, allows liaison and joint problem solving with partner agencies, establishes known outcomes to those that transgress agreed standards, will bring about proven reductions in alcohol related disorder and improves the reputation of the night time economy. Staff are more likely to leave a troublesome Pub, so you have to keep finding new staff and training them. In order to avoid early difficulties in setting up, consider undertaking local research, which will assist in building a good case for creating the Pubwatch. 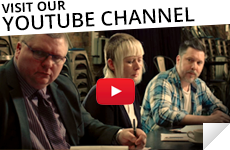 Establish initial support and identify a credible licensee ‘Champion’. Then sell the benefits and establish a ‘buy in’. Invite the right people, get to know everyone, identify current issues, explain need for formal committee structure, discuss its potential constitution and identify at least two volunteers to act as interim Chair and Secretary. Consider how the new Pubwatch should be launched. You may wish to prime the local media in advance of the event and invite them to be present at it. Maintaining contact with local media can also be beneficial to the scheme. National Pubwatch also have regional representatives who are always willing to attend and support your new scheme. In response to questions relating to banning individuals, our Good Practice Guide also offers comprehensive advice to Pubwatches. Following the advice contained in the National Pubwatch Good Practice Guide will assist each Pubwatch in establishing firm roots, which should assist them in developing and strengthening their scheme. Benefits include consulting with the police and other official bodies, potential local business involvement and possible funding opportunities. Having a constitution and voting rights, possible subscriptions and some administration support can assist the running of the scheme. The regular meetings should have interesting content, where the police, local authority can contribute and relevant guests can be invited to give their inputs. 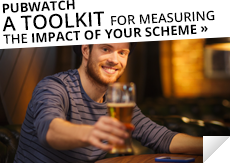 Liaising with other established Pubwatches can also be very beneficial to new schemes. Why must publicans manage physical interventions properly? Prevention is better than cure. Licensees should recognise the challenges they face and identify the specific training needs required to deal with these issues, such as legislation, first aid, record keeping and customer care. This can be linked to an audit trail. Where there’s blame – there’s a claim! A confrontation with a customer can become physical and such physical interventions are likely to become a mandatory requirement for Door Supervisors next year. 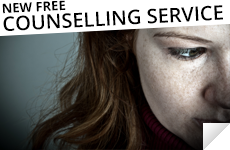 There can be difficulties in establishing whether such an intervention is reasonable or necessary because perceptions differ from person to person. Such perceptions invariably influence the reaction and level of response, especially when one is working in unfamiliar environments. No Pain – No Gain: True or False? Getting to grip with the myths and urban legends surrounding physical interventions. Guidance was given on how to handle the problems and pitfalls of post-incident management. Many delegates were unaware that claimants had three years in which to make a claim. It is critical that each incident is properly investigated and accurate records kept at the earliest stage. Ticking the Right Boxes. How publicans can become proactive and make an informed choice as to who is training their staff in such interventions. When considering risk management, training in physical skills is important. ICM offer this training due to their experience gained and skills taught. Everything you want to know about physical skills, but were afraid to ask. Questions were invited from delegates, including customer care and post-incident procedures. Delegates were asked to complete the ICM Work-Related Violence Survey in order that a more accurate picture of the levels of violence and other problems faced by those working in the licensing trade. Recent Judicial Reviews. Specific attention was given to the one involving Buckingham Pubwatch, its outcome, areas of potential challenge to individual Pubwatches’ actions and suggestions on ways to ensure a Pubwatch is not challenged in the courts. The most common and current reasons for premises licence reviews, together with ways in which Pubwatches and their individual members can be proactive in avoiding such reviews where possible. The legal issues workshop was run in two sessions facilitated by Chairman Steve Baker. Session one was lead by solicitor David Isaac and barrister Steven Walsh who concentrated their presentation on recent Judicial Review legal challenges to the Pubwatch banning process. In particular the speakers focused on judgements relating to Buckingham Pubwatch in 2008 and provided advice and guidance. Key advice reinforced the need for pub watch schemes to maintain their independence from police and other public agencies. In particular, it was thought advisable to have a transparent process in relation to membership and decision making. Independence in all processes, including such things as finances, minute taking and venues for meetings, all helped to show that pub watch members controlled their own scheme and should not be subject to Human Rights legislation. In addition, delegates were encouraged to ensure that their scheme was covered by an appropriate insurance policy, as fighting a Judicial Review can be expensive. Session two was lead by Solicitors Jeremy Allen and Susanna Poppleston, who covered issues relating to licensing reviews and the licensing conditions contained in the Policing and Crime Bill. Outside drinking/smoking and the noise neighbours are subjected to features high on this list of reviews. Others include applications and proposals by various authorities, often in conjunction with the police, to set up signed agreements with licensees, or set new licence conditions. Why it is Important – the professionalism of staff is a key element in running a good and safe ‘house’. Due diligence is a tool that helps you. What will be delivered – introducing various elements of available training, both external and ‘in-house’, together with the external qualifications available and the in-house training structure. Discussing the content of various publications, including the British Beer and Pub Association (BBPA) ‘Managing Safety in Bars, Clubs and Pubs’, Best Bar None (BBN) and the annual Responsible Drinks Retailing Award for Best Pubwatch. Being a member of a Pubwatch, particularly when registered with National Pubwatch, offers licensees access to a range of support. This includes their Good Practice Guide, posters, window stickers, DVDs and an opportunity to enter the Responsible Drinks Retailing Award scheme. 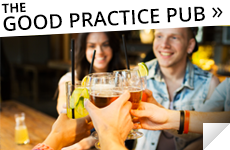 Involvement with the BBPA gives access to a range of guidance on every aspect of running a pub, updates on consultations and links to relevant organisations. Having a Refusals Register, or other means to record failure to prove identity, is also a useful tool to show ‘due diligence’. However, one licensee stated that it was impossible to expect staff to fill in refusal book when they are busy. Whilst there are many novelty ID Cards in existence, which are offered as proof of identity, none of them contain the PASS hologram. Additionally, why not adopt Challenge 21, where persons apparently under that age are requested for proof that they are over the age of 18. Taking part in the Best Bar None initiative is also worth considering. It is a partnership that assists in building relationships, improves management standards and links with other organisations and initiatives, albeit that it takes time and some money. The Carlisle and Eden scheme was introduced. This scheme embraces the local Pubwatch, a specific geographic area that is traffic-free at key times, a Dispersal Order, a Designated Public Place Order, early intervention planning, taxi rank marshalls, CADAS and the use of drug dogs. In addition to the benefits outlined above, it creates an accurate measurement of responsible businesses, rewards success and effort and offers best practice to help other less able establishments. Who is it for – Pubwatch members and representatives from their partner agencies on both a local and national level. Responsible retailing helps you stay in business. The Panel comprised Ziggy MacDonald, Andrew Studd, Bill Donne Ian Fox, Stephen Walsh, Jeremy Allen and Peter Fulton. It was facilitated by Daniel Pearce, the Managing Editor of the Publican aided by the MOPA Theatre Company, as described above. Ziggy MacDonald tried to clarify the significance of the primary and secondary legislation relating to the mandatory conditions and agreed that it did contain a minimum of two hours training by each licensee, although this requirement has now been removed. Other Panel members encouraged licensees to record and retain the training given to each member of staff as this is ‘due diligence’. Additionally, they also recommended that the training given is checked to ensure their understanding of it. Ian Fox explained the importance of proportionality when force is used and that checking before problems arise, thus often preventing them, is good practice. The importance of checking the ID of persons who appear under age cannot be overstated. He also referred to an initiative in Liverpool where specific training has been designed to build the confidence for those members of staff who have difficulty in dealing with drunken persons. This has led to less conflict. There was a lack of support for extending Challenge 25 within the ‘off’ trade to the ‘on’ trade. Challenge 21 would suffice, and if used more widely, would become acceptable practice with breached diminishing. Use the PASS cards also. Jeremy Allen expressed concern regarding the Government proposal to reduce the ‘three strikes’ to two. Panel members agreed that the culture and tolerance of certain unacceptable behaviour should be addressed by licensees and their partner agencies. Where test purchases are being undertaken, often these purchases are not challenged by staff. In response to a delegate’s question, ‘When will the ‘on’ trade be dealt with on the same level as the ‘off’ trade?’ Ziggy MacDonald responded that the Government intend to be open and transparent is their consultation process. When asked if under18’s should be prosecuted for licensing offences, Adrian Studd replied that the police do not wish to criminalise young people for this particular matter. The number of completed evaluation forms collected was 92, which corresponds to 44% of the persons attending this conference, similar to last year. This figure becomes 51% when the number of delegates only, were taken into account. ‘We both felt that the event was very valuable to us as well as interesting and enjoyable. The way in which you organised the programme was effective and impressive – excellent speakers, disciplined presentation and diverting interludes with MOPA made for the best conference I have been at for I don’t know how long’.